GERMANY: Fugro has started investigating the site of Iberdrola's 476MW Baltic Eagle offshore wind farm off the island of Rügen. The surveyor has deployed its geophysical vessel Pioneer to clear the 35-square-kilometre site of any unexploded ordnance (UXO). It will then use its vessel Scout to carry out a geotechnical seabed investigation and borehole drilling, as part of a contract worth more than €10 million. 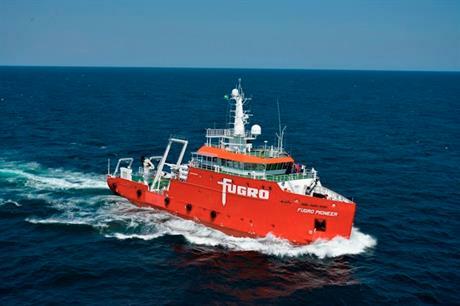 Fugro intends to complete the work by February 2019. The data it collects will inform the design of the foundations for Baltic Eagle's turbines and offshore substation, which will be installed in water depths of up to 45 metres. Iberdrola secured a licence for the Baltic Eagle project with a bid of €64.60/MWh in Germany’s second offshore wind auction in April 2018.